Yesterday here in Greece we celebrated Greek National Independence day and also the feast of the Holy Annunciation of the Virgin Mary. Now I won’t go into the stories of these 2 events, but I will discuss what Greeks typically eat on this day…Yes, it’s all about the food. We continue to be in the fasting period, and this day is one of the few days that fish is allowed. 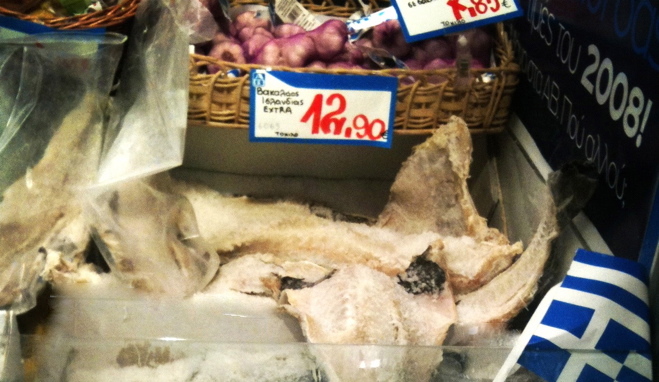 Greeks typically eat fried salted cod, bakaliaro and skordalia (a type of garlic dip). Obviously, fried salted cod doesn’t sound too healthy but if you think about it, it isn’t that bad. Cod is low in fat and calories so even frying it will not really make it excessively calorie rich. 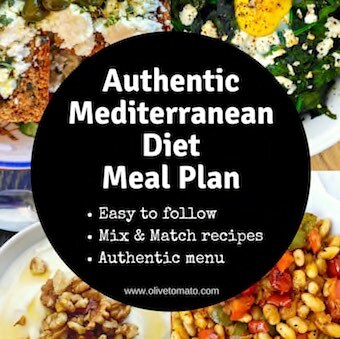 A healthier alternative with less salt, is using fresh cod baked in the oven with tomatoes, onions, parsley, olive oil and garlic and, my mom adds raisins, also known as bakaliaro plaki. As for the skordalia, I have to say that it is definitely potent but delicious. 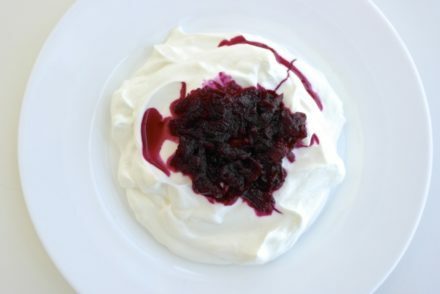 Skordalia is also served with boiled beets, complementing each other perfectly. You can call skordalia a dip, but personally I believe it is too strong to just serve as an appetizer with bread sticks. Apart from the beets, this sauce usually accompanies the cod or is cooked together with pork or rabbit. It needs a strong wine as well. 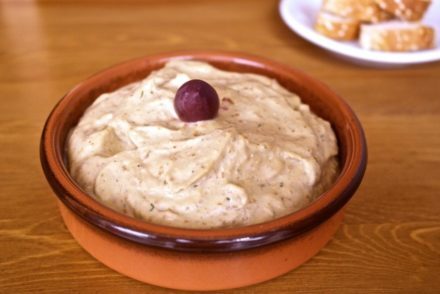 Skordalia is like other Greek dips; rich, healthy, full of antioxidants, in this case from the garlic and olive oil (and walnuts if you add them). Skordalia can be made with potato, bread or with a combination of walnuts (sometimes almonds) and bread. Potatoes will give you a smoother consistency, while the bread skordalia will be a bit grainier. And no, skordalia does not contain cream. The recipes below are slightly changed versions from the traditional cookbook Hrisa Paradisi. Peel the potatoes cut in cubes and boil in water until soft. Once boiled, strain and mix with a hand mixer until smooth. In a food processor process the garlic cloves with a bit of salt until it is a paste. Add ½ of the olive oil in the food processor and continue mixing. Add the garlic paste to the potato and mix with a wooden spoon. Add the rest of the olive oil gradually, 1 tablespoon at a time, mixing until oil is absorbed. 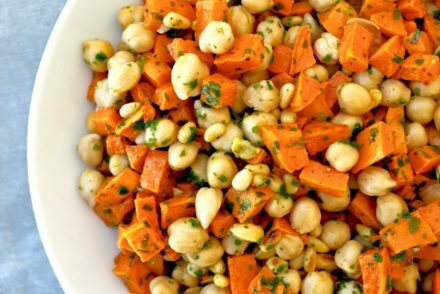 Add a bit of red wine vinegar for taste, mix well. To make skordalia with bread instead of potato follow the same recipe but instead of using potatoes, use 10 ounces of stale bread (without the crust) soaked in water and vinegar. Squeeze well and then mix and work the mixture with the garlic paste with a fork or with your hands until it is well combined. Than add the olive oil gradually. 2. In a food processor process the garlic cloves with a bit of salt until it is a paste. 3. Add the walnuts to the garlic paste and mix well. 4. Soak the bread (without the crust in water and vinegar) and then squeeze well. 5. Mix the bread with the walnuts and garlic mixture. Mix until smooth. 6. Add olive oil gradually until olive oil is absorbed. 7. Add a bit of red wine vinegar for taste. Hi Elena. I have been surfing the web for Skordalia like my mother used to make it. Your recipe looks like the exact one ! Thank you. Can you tell me how to make Pastruma ? It seems the powder for coating the dried meat was a secret ? I love Skordalia! I just wanted to pass along another serving suggestion. Here in Chicago, Spring means Fresh Smelt, and I always serve my smelt deep-fried with crispy fried baby Artichokes and plenty of Skordalia. Try it, it’s delicious! I have a lot of potatoes and was thinking about making a large batch of skordalia. Can it be frozen? I have refrigerated and safely ate skordalia after two weeks of being refrigerated with no problem! I believe my Mom made the skordalia a bit smoother by adding a bit of fish broth from the dry cod. Have you heard of this? I’ve never heard of that but it sounds like a great idea because you will also get an infusion of flavor. Thanks for sharing! Hi Helen, First, love the recipes. Never heard about the one with walnuts. To answer the person above, I was taught that a little of the starchy water from boiling the potatoes helps, both with skordalia and taramosalata, to make it more “elafri”, that is lighter, more “whippy”. Works great! Always preferred lemon juice over vinegar, and…one more suggestion…..it is AWESOME with koukia!! Your recipe for Skordalia that includes the stale bread and walnuts is the closest to the one my mom makes. Sometimes she makes it with the walnuts, other times with the almonds, or both. As a child I remember her making it in a large wooden bowl with a very large wooden pestle and I would have the task of mashing up the garlic with the salt, and would then take turns with my mom adding the other ingredients and mashing till smooth. When I got married my aunt gave me a very large wooden mortar and pestle and I would make my own skordalia. 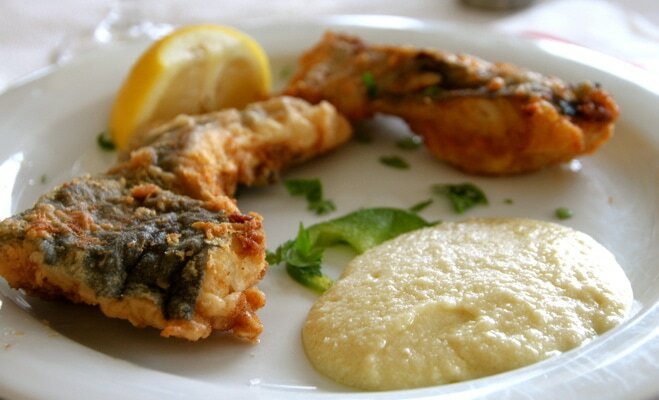 We eat it with fried zucchini and also with cooked dandelion greens and a Greek vegetable dish called magerema. Since I grew up with the “bread” version, I’ve never been able to get used to the potato version. The bread version seems to last a long time, although it doesn’t usually last that long around here! Thanks for sharing Cathie! I also prefer the bread version! I buy skordalia at our farmers market and the vender SWEARS that the ingredients are olive oil, garlic & citrus…no potato, bread etc. Can that be possible? It sounds like the vendor is describing some sort of garlic paste, not skordalia. We make the walnut skordalia all the time, especially during Lenten periods, as it is a staple from our area in Central Greece. As a shortcut, I’ve had great success in putting all the ingredients in the Vitamix and blending together….adding more olive oil as needed. Look forward to reading more of your blogs! Thank you for sharing Golfo! These mixers are such a great help. Thanks for sharing Terri! I didn’t know what Texas toast was, but I looked it up. These recipes look great! Any idea how long I can keep this in the fridge? Can it be frozen?